Most of my 3 hrs. 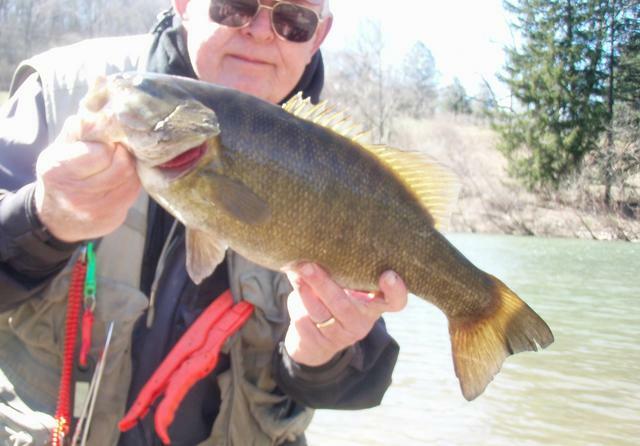 was used to catch 10 cookie cutter smallies all bewteen 1-2 pounds. Water is falling and they are starting to move out from the shore making my wading more difficult. The shoreline mud is terrible. 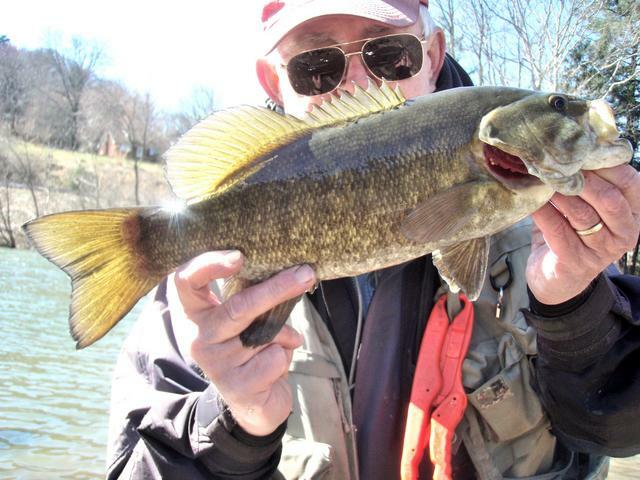 All fish were caught on the G&W krinkle cut worm ( a small 3" trick worm) on a 1/8 oz jig head. Including these 2 fine specimens toward the end of my fishing day. If the wind cooperates I'd like to get the boat out. Wish it would warm on up a few degrees and get that spinnerbait bite going!